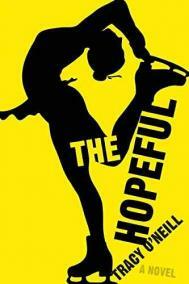 Tracy O'Neill is the author of the new novel The Hopeful. Her work has appeared in a variety of publications, including Granta and The Millions. 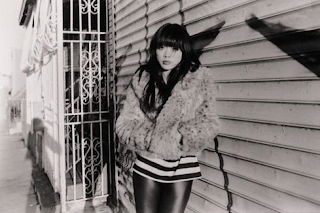 She is based in Brooklyn, N.Y.
Q: Why did you decide to set your novel in the world of figure skating? A: The world of figure skating is really beautiful and strange. Figure skating is a combination of sport and artistry that mirrored the relationship between body and mind that is so fascinating to me. It's also a sport very focused on the individual, as opposed to the team, which is pivotal to my protagonist Ali in her quest for the extraordinary. To a degree, I liked that figure skating is often maligned as silly. I didn't want Ali to love something that's "easy" to enjoy or understand. She needed to love at the fringes. Q: How did you come up with your main character, Alivopro “Ali” Doyle, and what’s the significance of her name? A: For me, character always begins with voice. The first sentence of the book I wrote was "I had a bus to catch in ten minutes, and the only way I'd make it was with a pair of scissors." To me, that non sequitur captured Ali's mind, her willingness to invest wholly in an impossible idea. Her name is a sort of abbreviated portmanteau of the phrase, "Alis volat propiis," which means "She flies with her own wings." The phrase is Oregon's state motto, and it really encompasses her ideal life: Ali wants to fly with her own wings, to be a self-made individual who pursues the desires of herself alone. Q: Adoption is a major theme in the book. Why did you decide to make that one of the book’s focal points? A: Adoption was a way of drawing out some of the themes through the plot. Ali is uncertain of what can be done outside of biology, that is, to what extent her body is her destiny. She sees the way that her mother, Lou Doyle, has seemingly circumvented nature, adopting the child she could not bear herself. It's an idea that appeals to Ali, not only because she's not sure what her genetics have in store for her, but because she wants to believe that we can choose the lives we hope to lead. Q: Why did you include sessions between Ali and her doctor as part of the book’s structure? A: The sessions between Ali and her therapist provided a way for Ali to reflect on her actions later. In other words, the bulk of the novel takes place in the past, and in the past, she wasn't yet a person who was capable of analyzing herself with much distance. She is incredibly willful, and the only way she'll submit to this kind of interrogation is if she has no other choice. A: I am just now starting work on a new novel, which I'll be researching over the next month or so. It centers around questions of privacy and persona. There's also a library mystery that I've begun work on. And in the fall, I'll be starting a Ph.D. program at Columbia in communications. The academy is so alluring. A: That I'm so grateful you've taken an interest in The Hopeful!